Hello again! 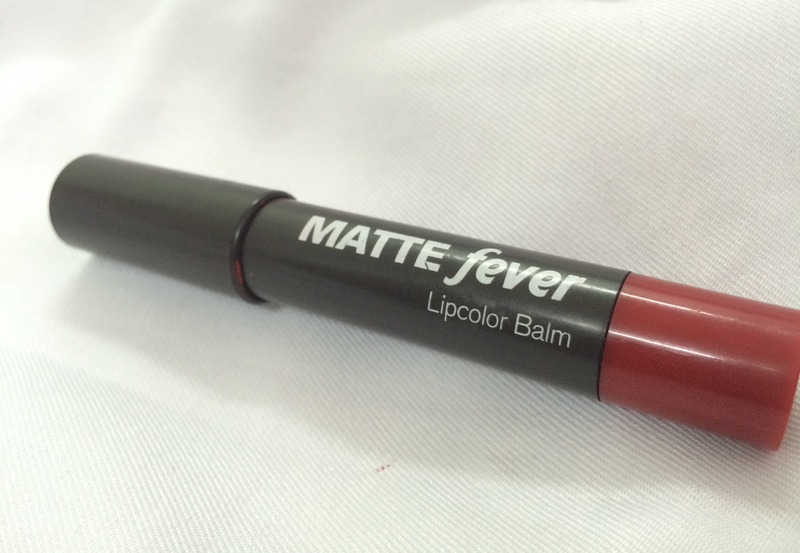 Today I thought I'll do a review on Silkygirl's Matte Fever Lipcolor Balm which I have had for awhile now. I got mine in the Shade 04 Siren, which is a classic red color with blue undertone. This kind of 'lip crayon' is trending really fast in the market now and when I saw this one on the shelf for only RM22.90, I knew I had to get it into my lipstick collection! As you can see, the bullet is kind of short, but fret not, this product is actually going to last for a very long time because the bullet is actually quite thick. Plus, the pointed end makes the application a lot easier if you want to create a precise line around your lips but you do not have a lip liner. So no worries about it bleeding around your lips. This lipstick glides on very smoothly and easily upon application.The color pay off is really amazing and totally buildable. However, I find that this lipstick is not really moisturizing despite it being called a lipcolor balm, hence why I am calling it a lipstick. It is not drying on my lips but I still prefer to apply a lipbalm beforehand, just in case. Dry lips with a red lipstick is a BIG no no. Oh my god! Please excuse my under eye circles and my bare face, it is the exam week, so I have been sleeping quite late for a few days now. Anyway, just look at the color! Such an amazing quality for the price. I wore this once to my friend's birthday party and got lots of compliments on it from my girlfriends. Longevity wise, it actually last quite long but if you want the exact coverage and pigmentation, you do need to reapply especially after eating or drinking. So I always prefer to drink with a straw while having this on. Overall, I really really like this lipcolor and I think Silkygirl had done a very good job on this one. Their product has been better and better nowadays! Would love to try out the other shades after this.